Last week I wrote about maintaining the valuable connections we have with family and friends. Family in particular. If you missed that post you can find it by CLICKING HERE. This week I want to share the valuable connections we have with colleagues. It doesn’t matter what kind of work you do, there are always others working with you or beside you. Even in writing. To some, writing may seem to be the most isolated type of work there is on the planet. You sit at a computer all day in a quiet space, typing out everything in you onto a blank screen. But of course there’s more to it than that. You grab people to give you their input. You interview people to make your characters more realistic. You have beta readers tell you what they think. You work with editors. You communicate with the graphic artists working on your book cover. You have colleagues. 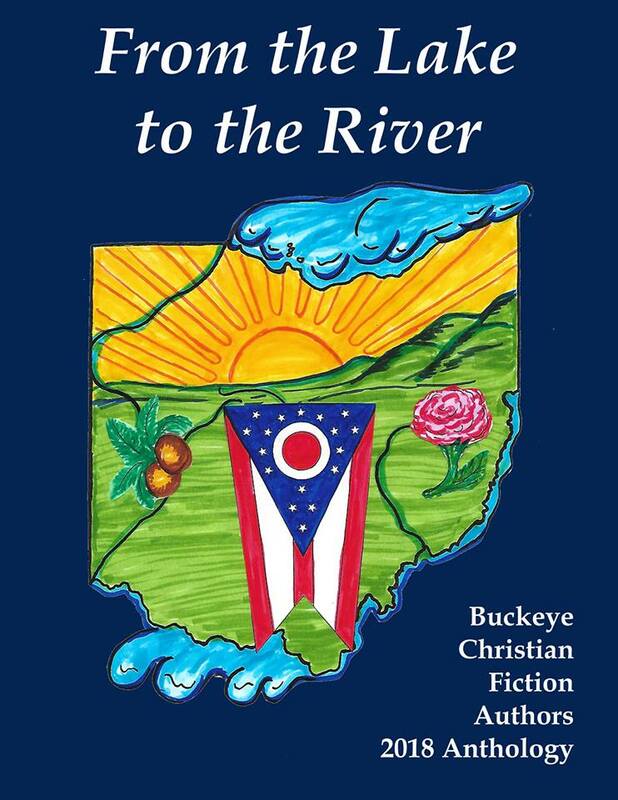 One of the most beneficial relationships I have is with fellow authors in Ohio. I belong to some great online groups as well as some national and international organizations, but I get to meet with my small group of Ohio authors face-to-face nearly every month. We share our work. We help each other problem solve. We offer strategies. And we care. While I was living in Kosovo, a couple members of the group invited me to submit a story for an anthology called From the Lake to the River being published by Mt. Zion Ridge Press. 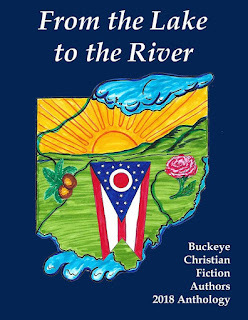 The book features stories taking place in Ohio written by Ohio authors. 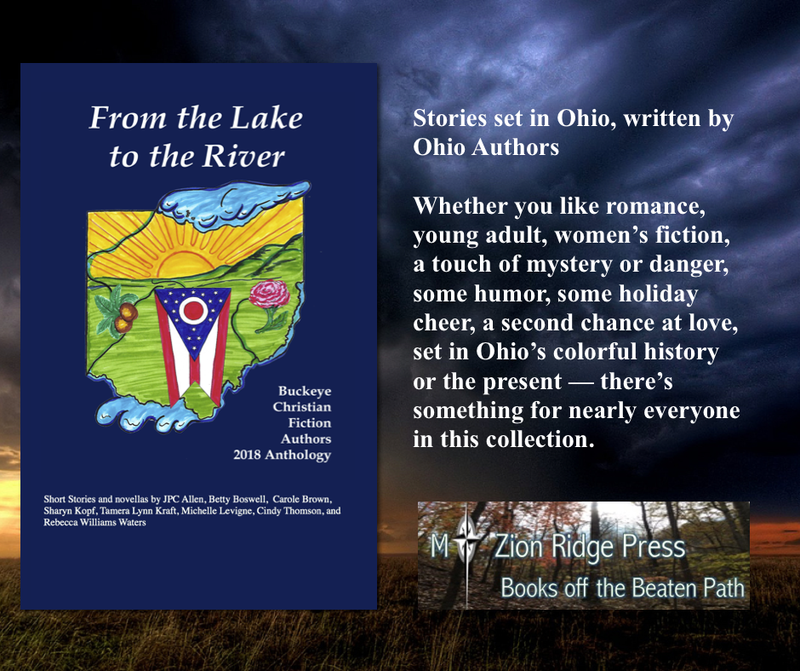 Stories from across the state –from Lake Michigan to the Ohio River. I started writing a short novel in 2013 about square dancing. I hadn’t finished it and hadn’t worked on it since Tom died in 2014. It was hard to consider. It was about a widow who returns to square dancing after her husband dies. After some prayer, I decided to retool the story into a novella. I submitted the story and waited. It didn’t take long. The story was accepted. I worked with fellow writers and editors and now, Courtesy Turn is a part of the anthology. I’m pretty excited. The paperback is available September 1, although you can preorder. The ebook version is available NOW. Nine authors coming together in one book. Connections. Communication. Colleagues. Nine authors. Nine different stories. Historical fiction from the Civil War to World War II, Young Adult Fiction, Women's Fiction, Romance, Mystery and Danger, a touch of Humor. Whatever you like to read...there is something for everyone. Lori’s husband died of cancer five years ago. Now she must reclaim her life or be forever dependent on her son and his family. Lori wonders how she can find purpose and if it's possible to ever love again. Should she return to square dancing…the activity she and John so enjoyed together? Could square dancing hold the key to Lori’s future? Set in Cincinnati, Courtesy Turnis a story of second chances. This week I’ve been thinking about the word connect. Connecting is not just bringing together, but joining together and communicating. I’ve been blessed with many deep and lasting connections. I’ve established many such relationships through teaching and writing. 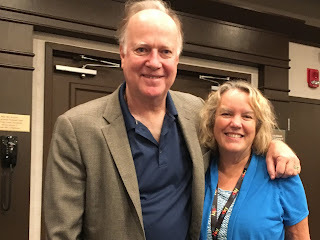 At first, I wanted to write about those kinds of connections and encourage fellow writers to seek out those relationships. But the most important connections are those with family and close friends.Those relationships take root around the dinner table or at church. They are founded in walking through this life…through both the good and the bad together. They are so much a part of our everyday life we often take them for granted. 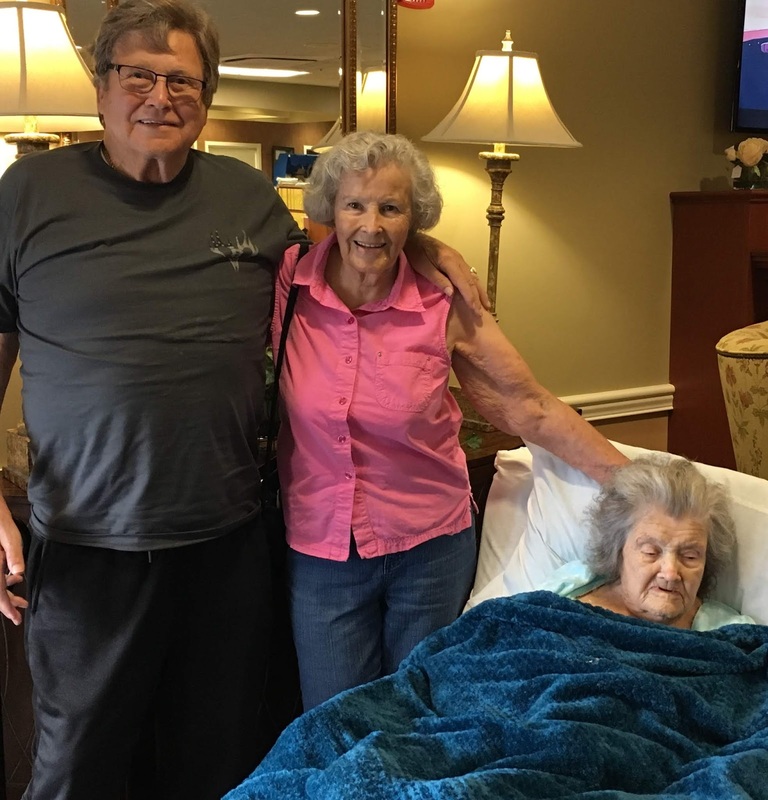 This past week, my sweet aunt, my mother’s oldest sister, died. She was ninety-three. Aunt Flora loved her family. She loved her church family, too. 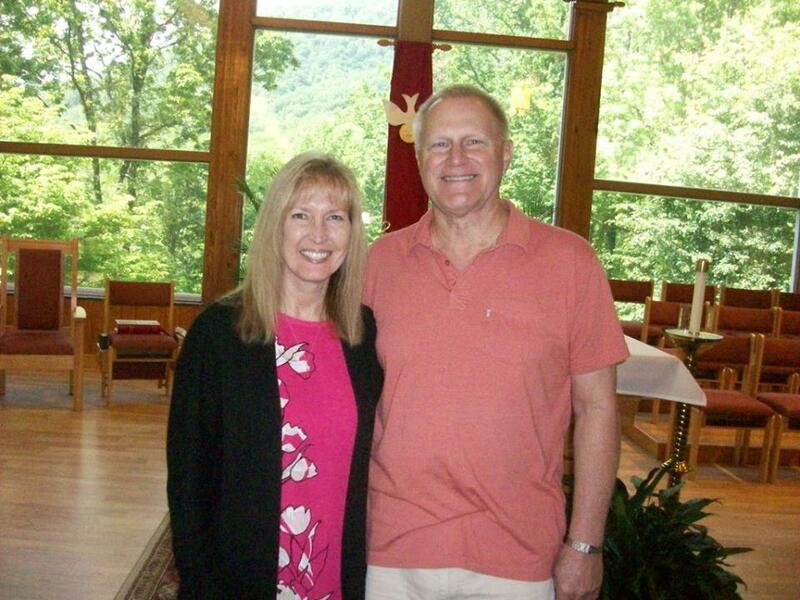 A steady stream of people made their way to the visitation on Friday and the next day, the church building was filled with family and friends. I could use this space to rewrite her obituary; to tell my readers of the way my aunt worked hard during hard times or to share what a great cook she was, but this is a post about connections…remember? Cook a meal together with your family. Turn off your devices and sit down with your family to eat. Tuck your kids into bed. Say prayers with them. Take your family to church and find your path through this world God has created. And if you came to this blog to learn how to be a better writer, here is your assignment for the week: be a better person.And if you want to see the direction your life is taking, imagine (or draft) what your own obituary will look like when you reach ninety-three. Write Like You're in Love...Edit Like You're in Charge! 10 Minute Novelists, an online writing group held their first-ever face-to-face writing conference this past week in Cincinnati. Attendees interacted with incredible speakers like James Scott Bell, Donald Maass, and Janice Hardy. What a line-up! I’ve always said if you can walk away from a conference with one great idea or changed in one way, it has been a successful conference. I walked away from this experience with so much more. Though I hope to share tidbits of information gathered from the conference over time, I want to offer you words from James Scott Bell. These words resonated with me and reminded me of the roots of my writing. “Write like you’re in love,”he said. If you are a writer, you’ve had those stories, posts, or ideas that captured your imagination. You poured yourself out on the page. You invested yourself in the story. You found yourself constantly thinking of that story or that character. You began to hear the character’s voice in your head. You wrote with abandon, void of formulas or rules. In fact, breaking the rules in this love relationship with words seemed right. Smacks a little of a great love story, doesn’t it? But that’s how we get a good story on paper. And readers can tell when you own it. They ask if it is based on a true story. They want to know the backstory. They ask for a sequel. Because you fell in love with your story, you carried your readers along with you. Jim Bell was right about that. When you are in love, joy oozes out of your soul and onto the page. You could stop there. You could file away your passionate story of good versus evil or love triumphing against all odds. You could never publish your historical fiction or capture the feeling of someone from the past in a vibrant biography. You could stop there. You would be a storyteller. You might be a caretaker of family history or you may even write because doing so feeds something in you. But if you are a writer; if you hope to publish and share this story and these characters you’ve created, you have to do more than write like you’re in love. “Edit like you’re in charge,” Bell tells us. And this is what separates the amateur from the professional. Work. Writing is often fun and engaging. Many people I know write as a sort of self-induced therapy. But if you want to share the story; if you want to publish, you have to go into the story you love, rip it apart and take charge of it. You have to ask yourself tough questions about what you’ve written. For example, the vignette of the little girl finding a puppy in the midst of chapter one may be cute and have sweet dialogue but if it doesn’t move your story forward, why is it there? Does it offer insight into the character of the little girl? Will the puppy play a role in rescuing her in the future? Is the dog a metaphor for another character in the story? If the scene is helpful to your reader, keep it. If it is not necessary, no matter how much you liked it when you wrote it, get rid of it. Use it somewhere else…in an alternate universe, so to speak. Look at your story structure. Examine your words and phrases. Scrutinize your spelling, grammar, and punctuation. And when you have it as close to perfect as possible, send it to a professional editor and beta readers for their recommendations. Then start the editing process all over again. The good guys will still win in the end. Overflow. My word for the year. As some of my readers know, I choose a word each year. During the year I see how that word plays out in my life. I try to keep a list of examples of how I see that word in my life and Bible verses where it appears. This year I chose the word overflow. I chose it because I want to recognize those areas where my life is full. Full and overflowing. I chose it because of God’s promises. I chose it while I was in Kosovo. 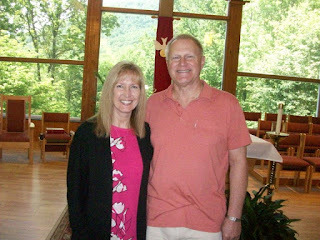 When I returned to America in June, I put little thought into the word. I couldn’t even find my small notebook where I tracked examples. It didn’t matter. My heart was indeed full. I hugged my children and grandchildren. I held my mother tight and reveled in the closeness of my family. I gave little consideration to my word for the year until …there was water on the bathroom floor. I thought my toilet overflowed. I wondered when it happened. I asked my grandkids. Nobody could explain. I wrote it off as a one-time incident. I had guests over for dinner one evening. I cleaned the house and got everything ready. I put one of those little blue tablets in the toilet tank. One of my guests came out of the bathroom and sadly reported the toilet may have a leak. There was blue stuff all over the floor. The sealing ring needed to be replaced. I took advantage of the situation and replaced the whole toilet with a better one. Actually, my friend Bob did all the work. I was the go-fer. Bob is the one who fixed my hot water heater, too. Yep, I had all these little “issues” popping up as I settled back into my life here in Ohio. But they are the sorts of problems that remind me of my chosen word for the year: OVERFLOW. Yes, I had to replace a toilet in my bathroom, but I’ve lived in houses where we had “outdoor facilities.” I not only have indoor plumbing, I have three bathrooms. My hot water heater failed resulting in a cold shower, but I have a hot water heater. And it happened in the summer when a cold shower wasn’t the end of the world. Furthermore, I had enough money to buy the parts to fix it. And I have good friends like Bob and Lina who not only cheer me on but, come to my rescue in times of need. That is my prayer for you today. That your life is filled to OVERFLOWING... with hope. I do, however, exercise my writing muscle on a regular basis. This is during my scheduled three-hour workday but apart from my big projects. Generally, I only go to one part of my writing gym each day to get my writing off to a good start. I refer to these exercises as time spent in my writing gym. So here is a little tour of my writing gym, the workout stations you’ll find and how each of these exercises benefit you as a writer. These work for me. Try them but feel free to explore other forms of writing exercises that meet your needs. These exercises put my brain in gear and get my creative juices flowing. In fact, there is abundant research to support the notion that people often think better when they put a pen or pencil to paper. When I taught at the university, I would tell my students to never leave an essay question blank. I told them that even if they couldn’t remember ANYTHING about the topic to start by copying the key words in the essay question or to simply start writing “I’m not sure where to begin.” Anything to get the pencil on the paper. The very act of writing triggers the brain to access information we don’t know we know. Seriously. It opens the floodgates. Words will begin to pour out on paper and new ideas will take shape. My students learned this valuable lesson. Often, though their start was shaky, they “suddenly remembered” something about the topic. Even partial points were better than getting a zero. I keep a list of what I need to write next on a project or topics I’d like to write about on this blog. Even if I feel clueless, I don’t sit and stare at a blank sheet of paper. I start writing. I may eventually throw out the first paragraph or the whole draft, but those first warm-up words get me started. I “exercised” using flash fiction for a week. First, I wrote a single sentence to try to capture the essence of my story. I spent the next few days “training.” Writing a fully developed story in 1500 words with a beginning, middle and end and making the characters people you can care about is a challenge. You have to make every word count. Never written flash fiction before? Try it. It is a great exercise. By the way, I put the story aside for a while, took it out later and exercised my revising and editing muscle. Here is another one. Craft a tweet that captures the essence of your story in 280 characters…hey that’s up from 140 so I can squeeze in a lot more! When I am working on a novel, I stretch myself every once in a while this way. It helps me focus on my storyline and gives me fodder for an elevator pitch or twitter pitch when I’m ready to seek out a publisher. There are other ways to stretch as a writer. You can try a new genre or move from fiction to nonfiction. You can try to write from a different perspective. Any of these strengthen you as a writer. Be creative at this station. These are exercises with deadlines. With them, I have actually turned writing exercises into cash. In my writing gym I keep a list of writing prompts from Chicken Soup for the Soul to use as writing exercises.I also note the date the story is due. When I have a story I think is good, I submit it. As a result of those exercises I have published threes stories to date in Chicken Soup for the Soulbooks. And they pay. Of course the money goes right back into my writing, but it’s fun to hold that book in your hand. It is a measure of success –an affirmation that you are indeed a writer. You may want to pitch a story or article to magazine or journal. Read their guidelines, do a bit of research, draft your query letter, and exercise your writing muscle as a freelance writer. Freelance generally pays little but it helps you build your writing resume. Although writing may be done in isolation, publishing is usually a team effort. You may have an agent or an editor you work with on a regular basis. Or not. You shouldbelong to a group of writers. If you can’t find one near you, form a group or join an online group. Team building helps each member build strength, grow as a writer, and remain consistent. Teams often meet on a regular basis. So how does this fit into my writing gym? I’ll offer two suggestions here, both in my writing gym currently. They are part of one project. (It doesn’t always work that way.) I mentioned last week that I have a story being released soon that is part of an anthology. All nine stories in the book take place in Ohio. Each author helped with editing and revisions for at least two stories aside from their own. This strengthens my own writing and gives me insight into how other writers build their craft. The second is guest blogging. Bloggers like having a guest author on their posts from time-to-time. I am working on a blog post for Sandra Merville Hart’s blog, Historical Nibbles. It’s related to my entry in the anthology. I, in turn will be featuring some of the other authors on my blog as well. I have to write my post for Sandra’s blog according to her guidelines and she will need to write her post to fit my readers. These kinds of exercises help us grow as writers. Those are the four stations in my writing gym. They are exercises that make me a stronger, more productive writer. What do you do to build your writing muscle?